TV. Film. Books. Stories. Comics. Maybe more . . . 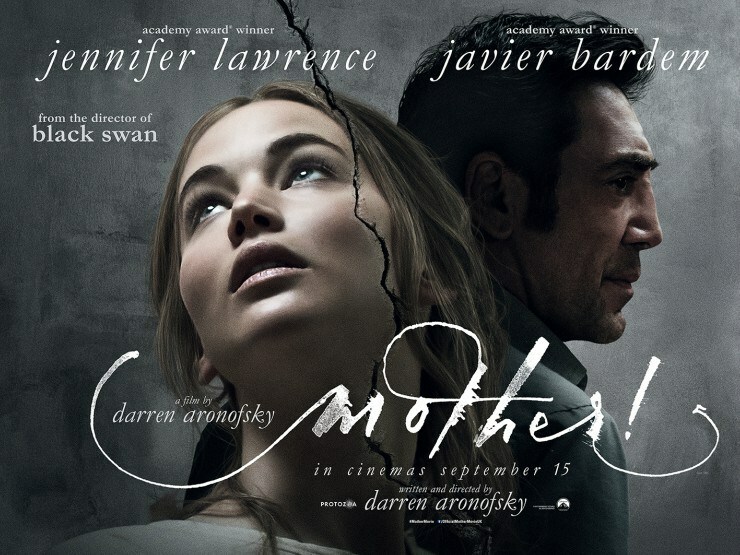 I've set out to write a post about Darren Aronofsky's mother! a couple of times and I'm not sure where to start or that I really want to. I loved it. But I think a one way conversation is a real injustice to it. I loved the audacity and commitment he had to go with this bizarre poetic thing that unfolds in metaphors, playing out cosmic concepts as creepy domestic anxiety. It's almost theatrical, really. People seem to hate it, which is not at all surprising. I think it's way over the heads of the majority of people. I don't mean that as a dig (I kind of do) but mass audiences aren't used to this sort of thing. This is somehow straightforward and not at the same time. It's text and subtext as one, with the symbols out front and in your face, which can be seen as lazy or even invite deceptively simple explanations. I may have at some point mentioned a professor I had that talked about finding tension in literature. He taught us that critical analysis wasn't about finding some secret one to one code of symbols and meanings, but rather about exploring the different ideas that may be playing out in the work, sometimes contrasting or outright contradicting each other. Art has an original intent by it's creator, but as soon as they start to work on it, there are subconscious ideas that creep in. And then readers come in and bring their baggage and it becomes hard to say what's valid or not. To a point. We always have to keep in mind that these are just interpretations. Some artists create things that are very straightforward and if you push it too far, it falls apart. Others create completely open ended material that is made to be discussed and dissected. I think mother! works best when discussed. It's easy to fall into a one to one ratio on it, because the symbols being played with are so iconic. I think we should resist that urge, though. It's too easy. My take? I lean towards the ecological with it. As an anti-theist I see Javier Bardem's character as the villain who started with good intentions, but is ultimately a narcissist prick. My only complaint is not enough Danzig. But enough about me. What's your take?